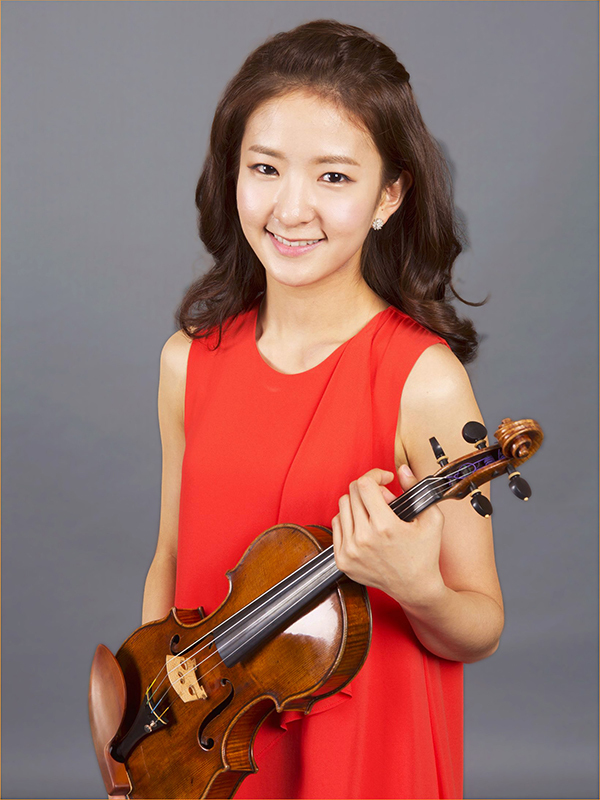 Violinist JANG Yoojin, praised for her “fiery virtuosity” and sensitive interpretation, performed her debut recital at the age of 11 and has been performing with leading Korean orchestras such as the KBS Symphony Orchestra and the Seoul Philharmonic Orchestra since the age of 9. Her performance of the Tchaikovsky Violin Concerto with Ivan Fischer’s Budapest Festival Orchestra received outstanding reviews in 2007. Yoojin has won many top youth competitions in Korea as well as renowned international competitions including 3rd prize at the Yehudi Menuhin Competition in 2004 and 4th prize at the Seoul International Music Competition in 2009. As the youngest competitor in the Michael Hill International Violin Competition in New Zealand, Yoojin won 2nd prize and was also awarded the Michael Hill Audience Prize, and the Best Performance Prize of the NZ commission work. Additionally, she won the 4th Munetsugu Angel violin competition in Japan in 2013, giving her the two year loan of the “Rainville” Stradivarius. Most recently, she won 5th prize and the special prize “Best sonata other than Beethoven” at the 2014 International Violin Competition of Indianapolis and awarded “Best contestant of the Semi final” in the 2015 Tchaikovsky International Violin Competition. In both of these, she received much praise from both the audience and the jury. In 2009, she performed as a soloist with the Kioi Sinfonietta Tokyo in the Hoam Art Center New Year Concert, at the Seoul Spring Festival of Chamber Music 2009, and performed as a soloist with the Exremadura Orchestra in Spain. She was invited again to perform in Spain in December 2009. She graduated at the top of her class at the School of Music at The Korean National University of Arts (Undergraduate program) in 2010. Since 2010, Yoojin has been studying under Miriam Fried at the New England Conservatory. In 2016 Yoojin won the Sendai International Music Competition, which provides her with major orchestra debuts around Japan in the coming seasons.